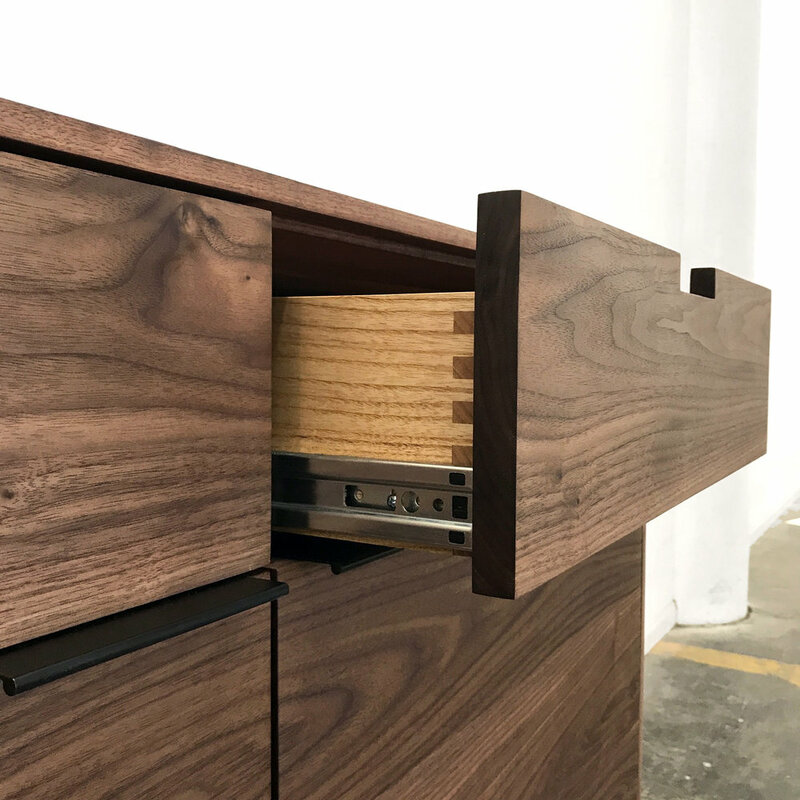 Case, doors, drawer fronts, shelves and base made entirely of solid Walnut. Solid Ash drawer boxes. Soft close doors and drawers, leveling feet, matte black door finger pulls, adjustable shelves. 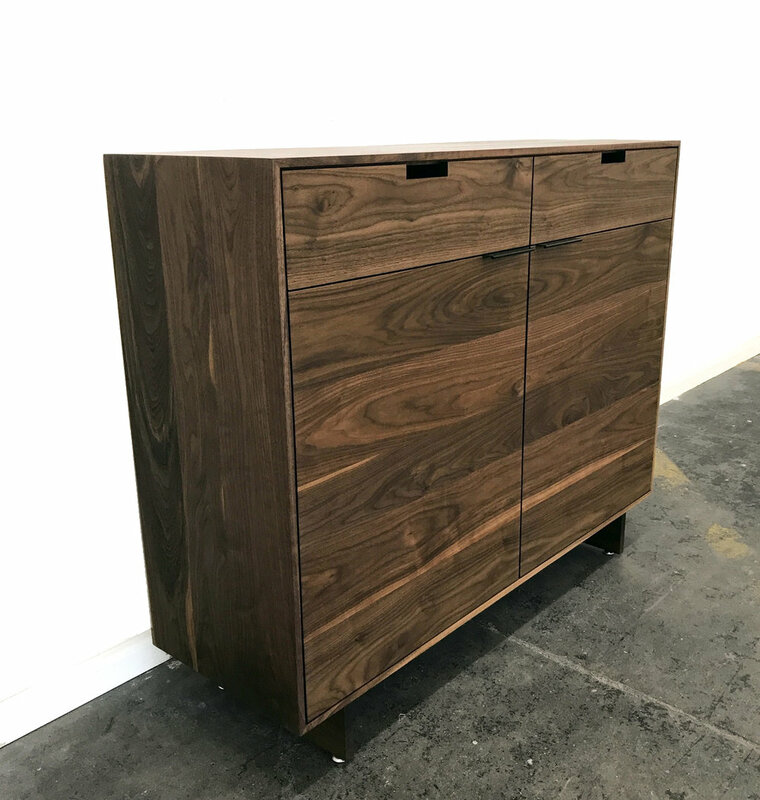 Custom sizing, wood species and drawer/door configurations available.